We know that diners come to your restaurant for one reason – in search of happiness. Sitting with a partner or friends enjoying a delicious meal brings them that joy. But worn, tired and uncomfortable restaurant seating and upholstery will spoil their experience. 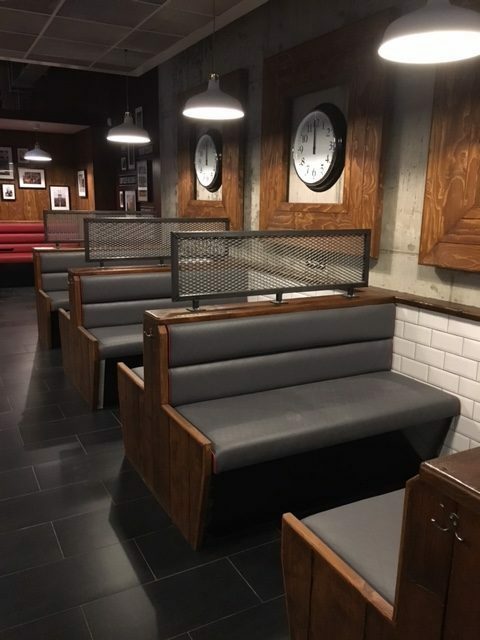 Our team at Hill Upholstery & Design may not be so hot in the kitchen, but we are experts at creating the perfect seating for your restaurant. So let us keep your customers comfy while you serve them happiness on a plate. 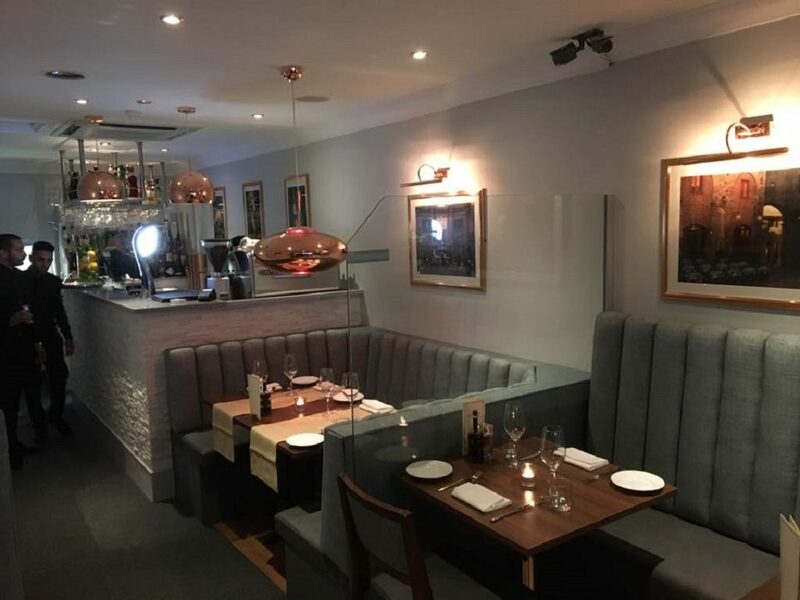 Operating under the guidance of Master Upholsterer and business owner Scott Hill, our team of experts take their work seriously and personally – they ensure every job is completed flawlessly and to the highest quality. A pattern mismatched or a thread out of place will upset them and make them twitch uncontrollably! When you ask us to take on the seating in your restaurant, or your restaurant upholstery, either for yourself or a client, you will be assigned a dedicated contact. 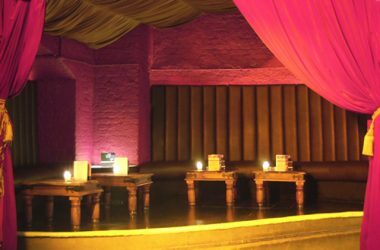 They will then work tirelessly to make sure whatever project we are undertaking – recovering furniture, reupholstering, repairs, redesigning, fabric walling – runs smoothly from the moment we begin until the work is complete. Every project is unique and we use our many years of experience to make the process easy for you. Our customers know that in this industry, you do get what you pay for. Quality speaks for itself and is something we are never willing to compromise on. We know our clients feel the same. Our commercial upholsterers have been designing, creating and restoring seating for restaurants, cafes, diners and bars across London and the South East for decades. 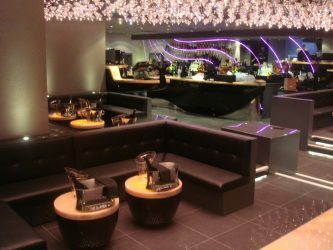 We work with interior designers, specialist joiners, fit-out companies and contractors alike, and we also work directly with restaurant owners to make their vision a reality. 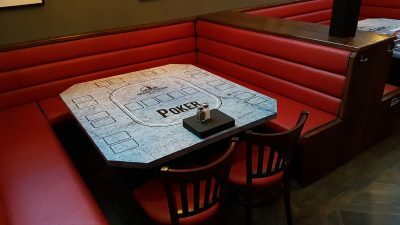 How do you want your restaurant seating to look? Banquettes or booths? Straight or circular? A fluted back or maybe a Chesterfield-style finish? There are many options available to you but the good news is that our upholsterers and office team can work with you to find the perfect solution and then deliver the work. Our Essex upholsterers can work to supplied drawings or assist you in designing a truly bespoke look and feel to the restaurant. 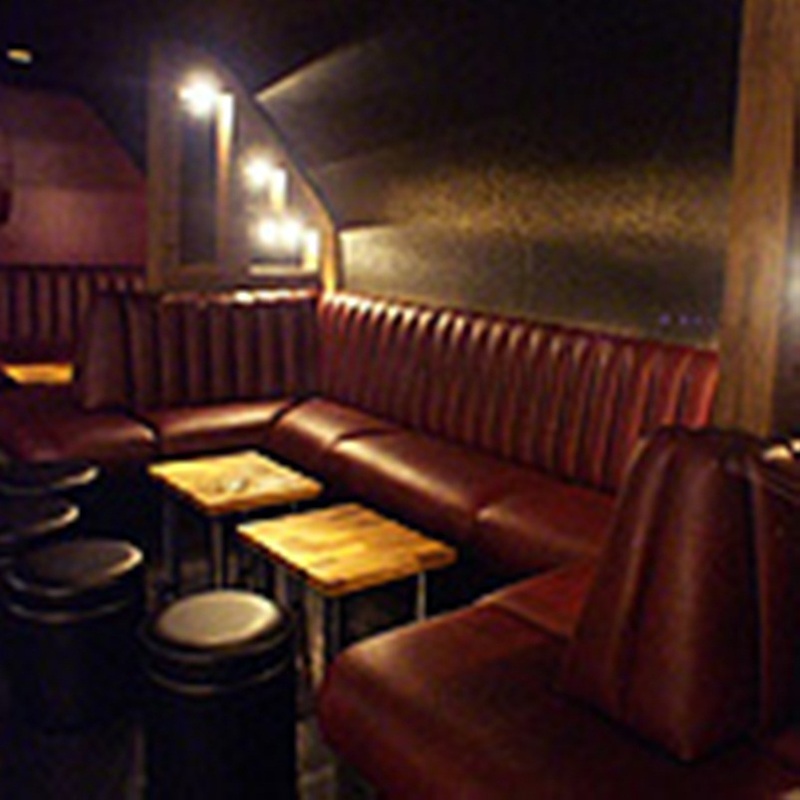 And their extensive experience and quality workmanship will ensure the seating is completed flawlessly – with all patterns matching perfectly and each seam impeccably placed. All in all, we will make sure your seating remains comfortable and practical for years to come while always being nothing less than fabulous. 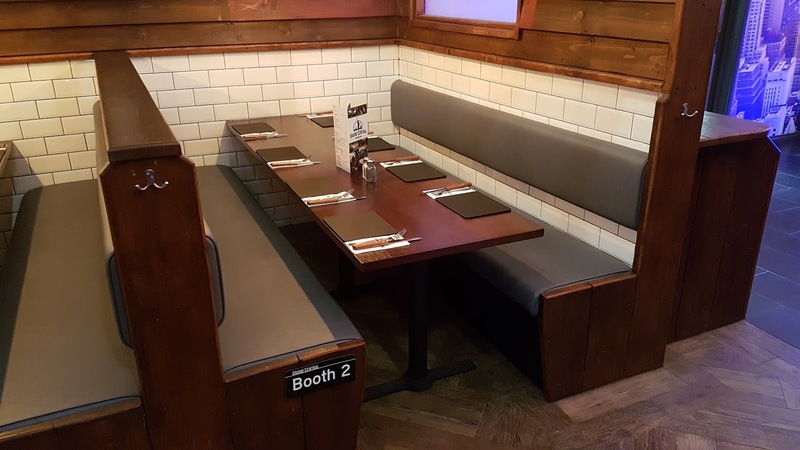 You may have seating already in place that needs recovering to match a fresh design or tie in with additional restaurant seating brought in. We can do that. 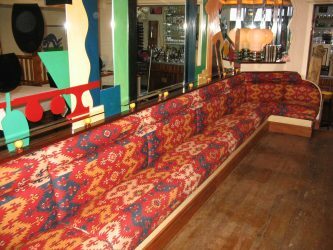 We can also totally reupholster a banquette or booth, or carry out repairs on seating that has seen better days. 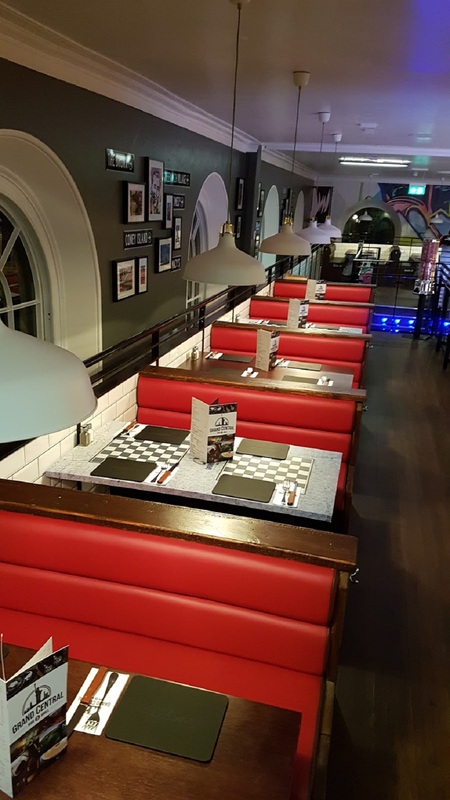 As part of your restaurant seating requirements, we can also supply you with dining and side chairs from off-the-peg designs that are suitable for contract use and complement the rest of the seating. If the upholstery fabric has been specified, that’s not a problem. We have accounts with many of the top fabric suppliers so happy to supply this for you. Or you may choose to supply your own. Our suppliers include Camira, Sunbury Design, Panaz, Agua, Futura Leathers among many more. 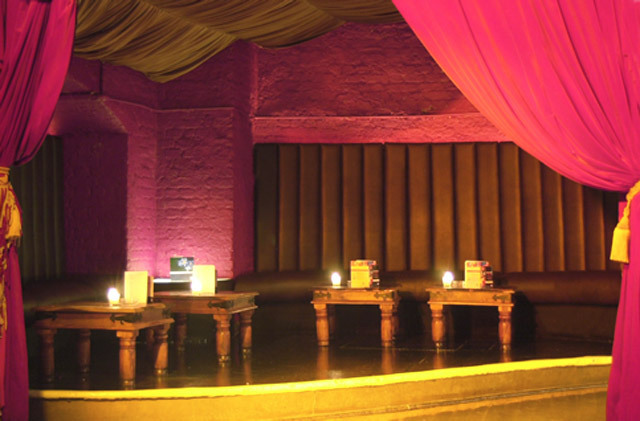 Alternatively, we can use our experience to help you find fabric to complement the restaurant’s theme. 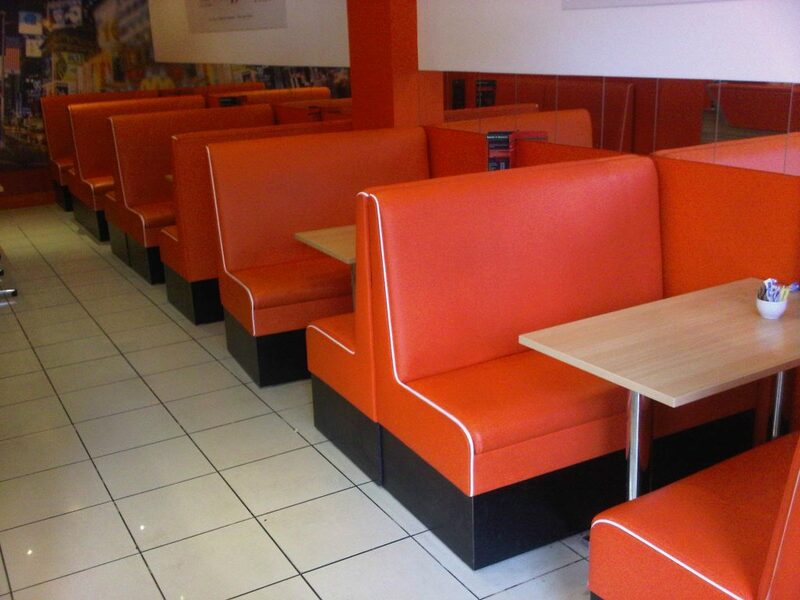 All of the fabrics we recommend and supply ourselves are of excellent quality and are suitable for restaurant seating. Get in touch and talk to us. Tell us about who you are and what you want to achieve. Send us any photos or drawings of the project you may have. Take a look around our site and look at the case studies both commercial and domestic to give you an idea of what we do. 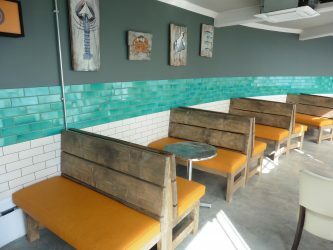 We have a gallery page just for restaurant seating, so have a peek at that too! 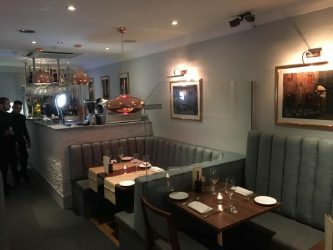 If you are a restaurant owner and you would like to design some restaurant seating, then email across any drawings, sketches and images of seating you like. Tell us what you like and what you don’t. What look do you want to achieve as a result? Contemporary or something more traditional? Furthermore, do you have a budget in mind? If you have a repair or need your existing reupholstered, take a photo with approximate measurements and send it across. Nine times out of ten we can work out an estimate from there. 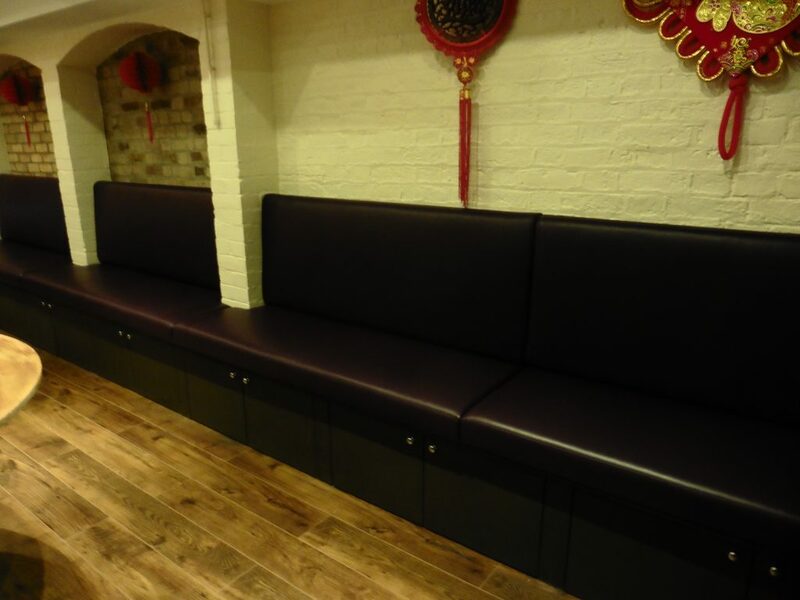 Our office and workshop is based in Stanford Le Hope, Essex although our commercial upholstery services extend to London area and further afield if required. 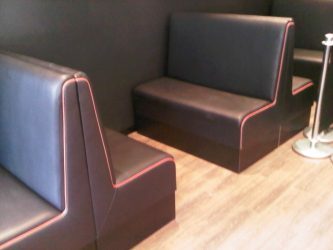 We can arrange for one of our commercial upholsterers to visit your premises or why not book a time in to come and visit us in Essex. Thank you so much for upholstery work you did it looks fantastic .